With an integrated high-dome ceiling and a spacious design, this Sonata shower stall offers ample room for comfortable showering. Integral ledges provide space for your shampoos, soaps, and other shower accessories. The stall is predrilled for the Sonata accessory kit, consisting of a grab bar and shelf. A removable corner shower seat is an optional accessory. Compliments traditional and contemporary bathroom designs. Step into your own private spa with this amazing showerhead from GLACIER BAY in your shower. Its terrific 2-in-1 design boosts its use, so you get an all-over clean with every shower. It measures 2.76-inch D, 2.3-inch H, and 2.76-inch W to give you a quick and easy way to update your shower. 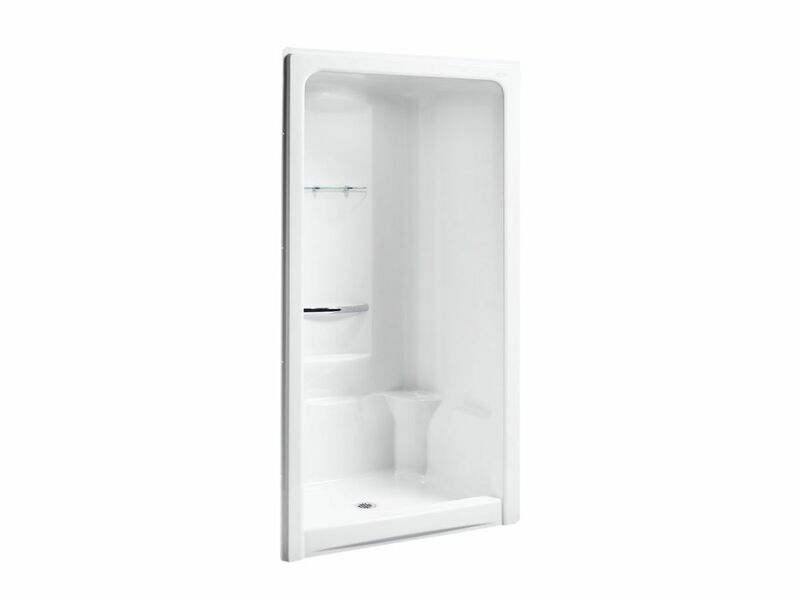 Sonata 48 X 36 inch X 90 inch Center Drain Shower Stall With Integral High-Dome Ceiling In White With an integrated high-dome ceiling and a spacious design, this Sonata shower stall offers ample room for comfortable showering. Integral ledges provide space for your shampoos, soaps, and other shower accessories. The stall is predrilled for the Sonata accessory kit, consisting of a grab bar and shelf. A removable corner shower seat is an optional accessory.